Lyn lyn grew up in a simple family, I was a boring person not good with socializing and have very few friends. My dad was the first person who imparted trading and investing knowledge to me because I am very close to him. I picked up lots of tips from my mum too, she is an expert in property. Since young, I have been watching my dad travelled in and out from stock brokerage firms and have always been very curious about stock trading. I have read a lot of books and found charting to be very interesting because it has much lesser words and lesser stress with English. The first charting book I bought was from Kinokuniya. Lyn lyn has spent a lot of time to understand charts, patterns, trends and price movements. Up-to-date, I have charted more than 5 thousands charts. I gained a huge influence from some of my family members which deepened my interest and found trading or stock investing a good way of making money. Dad and uncle did well in stock investments and they strongly encouraged lyn lyn to pick up stock trading and I started since young. Trade is to trade well as in trading we need to be flexible as the market is very volatile. Best scenario is day trade – open and close position on the same day, but due to market uncertainties it is getting tough to define. What are your best investments and worst investment since you started investing? My best trades are Rowsley and GLP and the worst trades I’ve made are Ezion and Yuuzoo. Yes, buy or short only when the stocks show signs of reversal. Lyn lyn has closed most of the Long Term positions, because my strategy for 2018 is – Swing Trade. Two major sectors that have bottomed out and are making a recovery are Property and Oil. My current portfolio, estimate to be 40% in O&G, 10% in property, 20% in Gold and 30% in other stocks. Growth should slow in the second half of this year and falls between 1.5 to 3.5 per cent. Electronics likely to remain a drag by Tech Cycle & Trade War. Service sectors are less impressive on softer wholesale and retail growth. Construction sector are seen in deep contractionary territory. Property continues under pressure with the latest Property Cooling Measures. Land Transport – remains as one of the strong pillar to move Singapore economy. Singapore is committed to stop bringing in more cars from February, 2018. But the demand for land transport is increasing, that means more people have to switch to public transports. What is your day to day strategy towards investing or trading? Do you implement a top-down or bottom-up approach for stock picking? Scan stock charts to look for indications of reversal or continuation for down beaten stocks. I use both Top Down and Bottom Up approach. 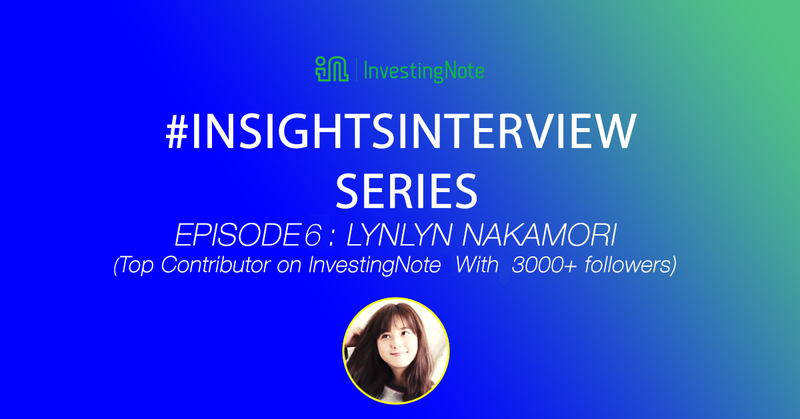 Lynlynnakamori currently has more than 3,000 followers and provide many accurate stock estimates. Follow her to get the latest updates and chartings on the Singapore stock market. Official Video: Our First-ever visit to Centurion Corporation (OU8.SI)!